Established this private practice in 1986 to provide a broad range of education consulting including individual academic tutoring for school support as well as remedial or enrichment skills, diagnostic evaluation of students' aptitude and achievement, planning for educational programs in concert with schools and other professionals, teaching educational applications for computers, upgrading and training for home Macintosh computers systems, leading staff development and parent information seminars, and a variety of other related services. This is an extension of independent tutoring and consultation services I have been providing since 1976. Teacher of computer classes for fourth, fifth, and sixth grades. Provided staff training and coordinated additional support services. Established and chaired the school's Technology Committee and led the development of the school's Technology Plan. Installed and maintained 40 Macintosh computer systems and networking. Participated as a member of the Diversity Committee and in other aspects of the broader school community. Teacher of fifth grade class and teacher of intermediate and secondary Seriously Emotionally Disturbed classes. Participation in Gifted and Talented Education programs, School Site Child Study Team, and School Improvement Committee. Participation as member of multi-disciplinary diagnostic team in evaluation of educational and mental health needs of English and Spanish-speaking clients. Established a school program for multi-handicapped students, assisted in development of treatment services, and planned and supervised renovation of building and grounds for these purposes. Teacher of primary level multi-handicapped Special Day Class in a well-established diagnostic and treatment agency. Regular collaboration with multi-disciplinary professionals. 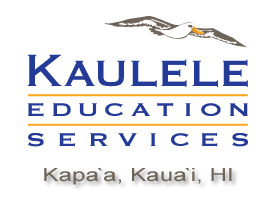 Learning Disability Specialist for students in K-8th grades. Educational evaluation, program planning and implementation, and school-wide consultation. Teacher of primary level multi-handicapped class. Included summer program planning and implementation. Long-term substitute in regular and special education classes, K-12th. Residential treatment center for adolescent boys with behavior disorders. Oral and written communication in Spanish. 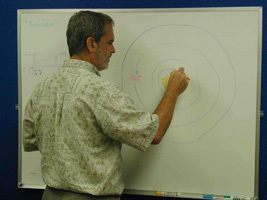 Basic knowledge of written Hawaiian. Background in diversity issues including cultural sensitivity in assessment and programming.